The new two-story structure is set in an airy and peaceful environment with lots of greenery. 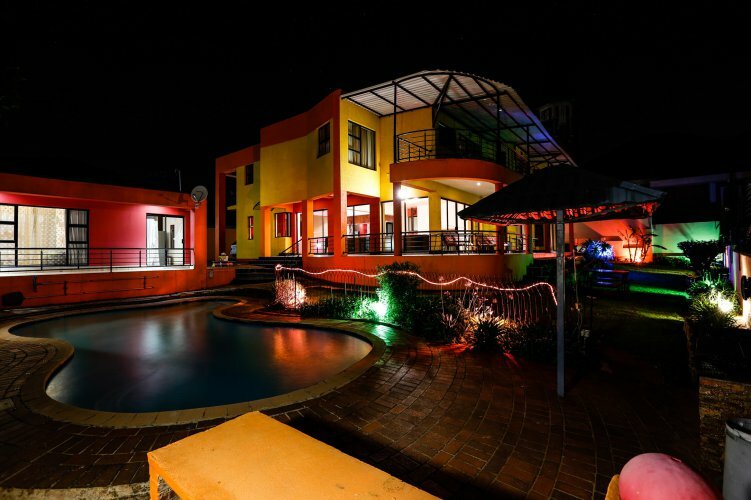 It consists of seven bedrooms en-suite and two studio apartment style cottages with self catering facilities. 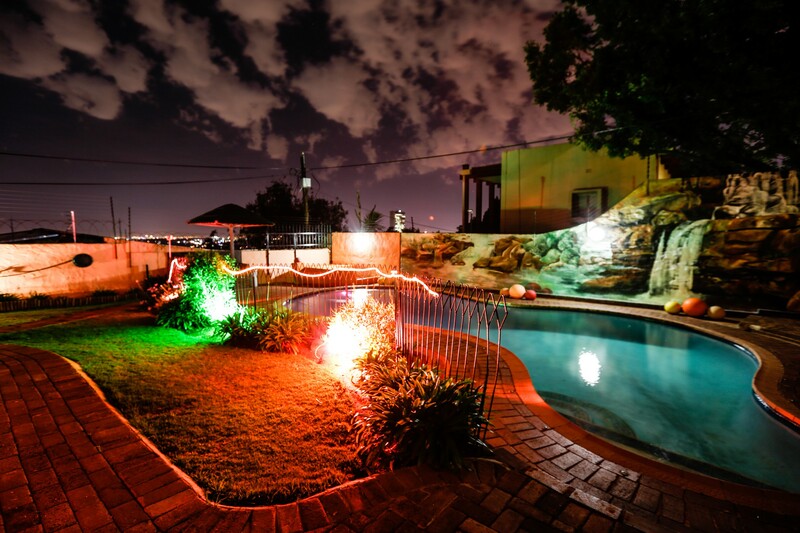 At Grand View B&B, one can enjoy the breathtaking views of the landscape along with the spectacular skyline of Johannesburg and Sandton from every room. It is every traveller’s dream. 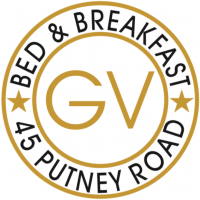 Grand View offers four rooms with two double beds en-suite, three rooms with one queen bed en-suite and a poolside studio cottage en-suite including two queen beds and self-catering facilities. All the bathrooms are designed in a contemporary fashion. Large windows and skylights surround the establishment offering ample sunlight. All the rooms have access to the balcony providing magnificent views from every room. 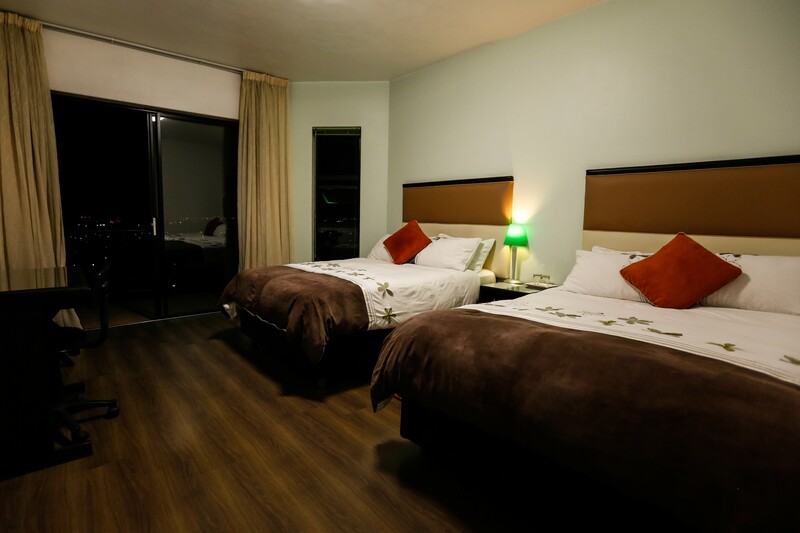 The rooms are equipped with flat panel televisions and satellite channels (DStv). The property is installed with a state-of-the-art security system providing round the clock protection. As an extra and just to add a little more comfort, we offer the guests our swimming pool facility. 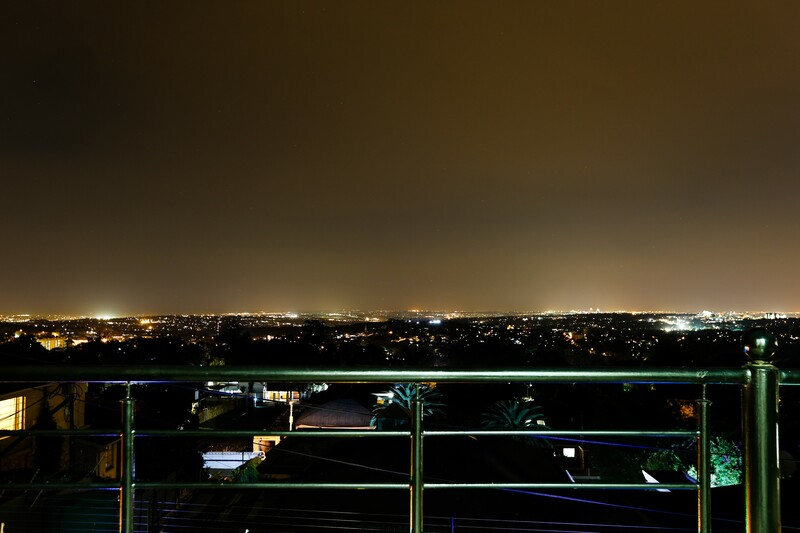 Enjoy a dip in our pool, unwind and enjoy the view of the city from the highest point in Joburg. We also offer a common lounging area with television for our guest in case you want to socialize with other guests. A tea / coffee making facility is available in the dining area and is available to all our guests at no extra charge. We have ample parking on the facility for up to seven cars; covered parking is also available. Just so our guests do not feel disconnected, we offer a computer room with internet access at no extra charge. A telephone is also available for guests use at the premises. Conference facilities and a laundry service is also available at an extra charge. We can also arrange for a shuttle service for our guests at an extra charge, subject to availability. Our conference area is designed to accommodate up to twelve delegates in relative comfort. The conference room includes a meeting table, white board and individual seating all around. At the facility we offer complimentary wireless internet, telephone, tea/coffee and light snacks. The conference room has it's own separate entrance and access to the balcony and lounge facility. On site there is ample secure parking for several cars. Please contact us for further information regarding meetings and social events. 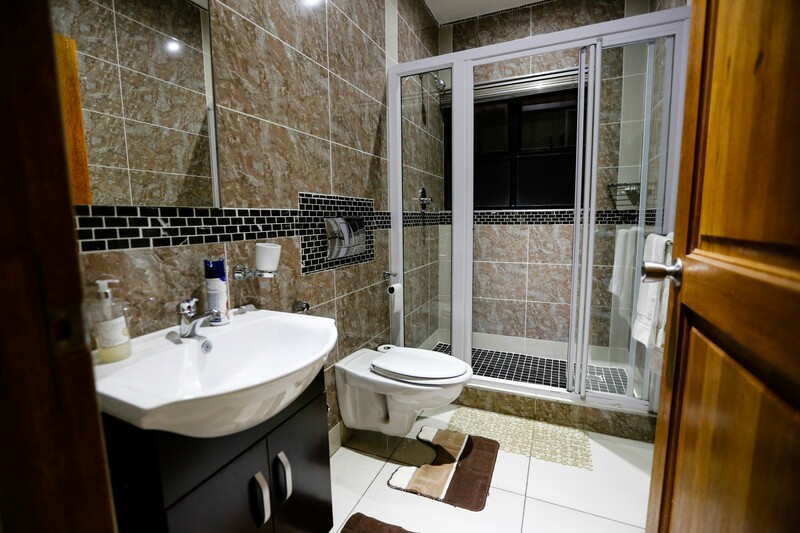 The B&B is located in Auckland Park which is thirty minutes from the airport, twenty minutes from Sandton and Melrose Arch, and under seven minutes from Melville, Gold Reef City, Milpark Hospital, SABC, Garden City Clinic, Downtown Johannesburg, University of Johannesburg and Wits University. Pets are not permitted and smoking is not permissible indoors.